Tickets for the World Series are selling fast and for a high price. Tickets on apps like StubHub are going for $500 to $1,000 for standing room only, while tickets in the dugout are $12,000. As Red Sox fans scramble to find last-minute seats, ticket vendors warn that if a deal sounds too good to be true, then it probably is. With a large event like the World Series, the demand for tickets is high and so is the danger of falling victim to ticket fraud. "First and foremost, be especially careful with tickets, especially now," said Ryan Kelley, Sales Manager at Ace Ticket. "The stakes are high and demand is off the charts. There are a lot of fraudulent tickets floating around." Kelley warns fans, particularly those visiting from out of town, to steer clear of tickets sold on the streets and on Craigslist. 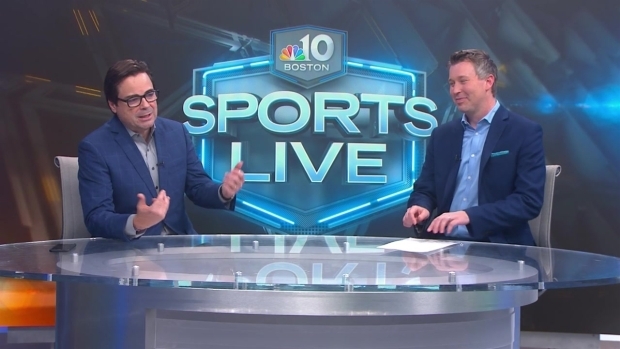 Raul Martinez spoke on Sports Live with Gary Tanguay about all things Red Sox leading up to the World Series, including Chris Sale and David Price. "The Red Sox encourage all fans to be cognizant of the proliferation of fraudulent tickets - especially for postseason games when demand is incredibly high," said Naomi Calder, vice president of ticketing for the Red Sox. "Only tickets purchased online at redsox.com, through the Fenway Park box office, or via MLB’s secondary market partner, StubHub, can be guaranteed."